and the textiles made from it. The name comes from Pashmineh (پشمینه), made from Persian pashm ("wool"). The wool comes from changthangi or pashmina goat, which is a special breed of goat indigenous to high altitudes of the Himalayas in Nepal, Pakistan and northern India. 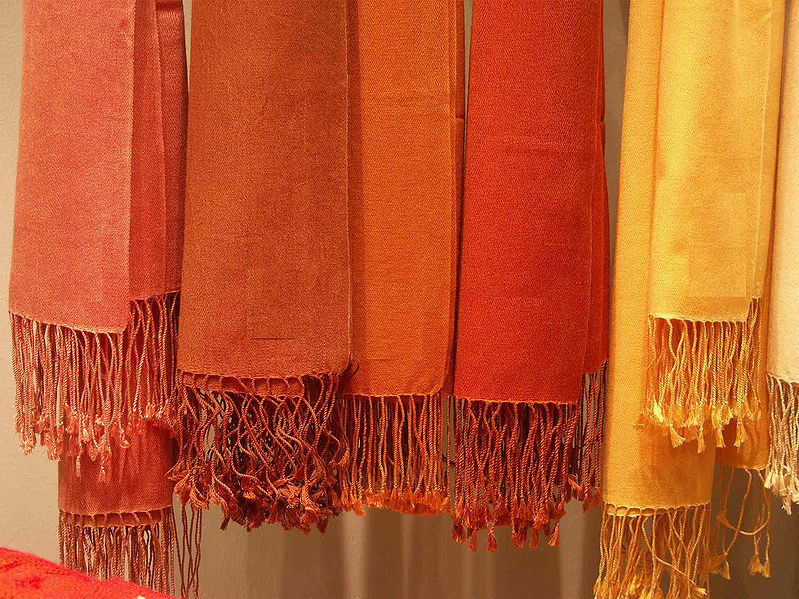 Pashmina shawls are hand spun, woven and embroidered in Kashmir, and made from fine cashmere fibre. The fibre is also known as pashm or pashmina for its use in the handmade shawls of Himalayas. The woolen shawls made in Kashmir find written mention in Afghan texts between 3rd century BC and the 11th century AD. However, the founder of the cashmere wool industry is traditionally held to be the 15th century ruler of Kashmir, Zayn-ul-Abidin, who introduced weavers from Central Asia. Dal Lake in Srinagar is the source of life in the area.
. Dal Lake, Kashmir .